I can be accused of being a bit absent-minded sometimes. I get lost in my own little world and forget what I was doing, which means that I am often looking for things around the house or office, not sure where I left them last. My keys, my wallet, my phone, whatever it is, I have to keep looking for them until I find them or I won’t even be able to leave the house. However, there are other, less tangible things that I think all of us should be looking for on a daily basis and if we are able to stay focused in our search, I believe that they can make a massive difference to our quality of life and level of success. Where God is in your situation. 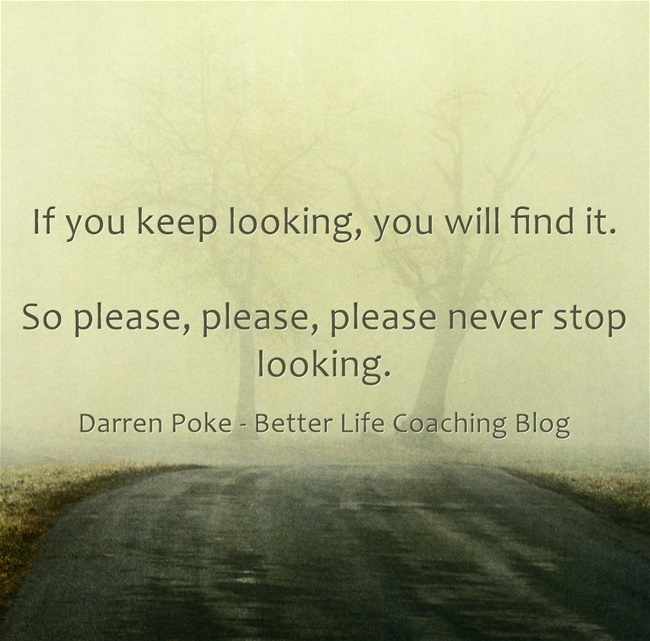 If you keep looking, you will find it. So please, please, please never stop looking. Next post – Do You Take Dictation, Or Are You Writing the Script?